Most business professionals have a specific area of expertise with an abundance of experience, but fall flat in other niches. 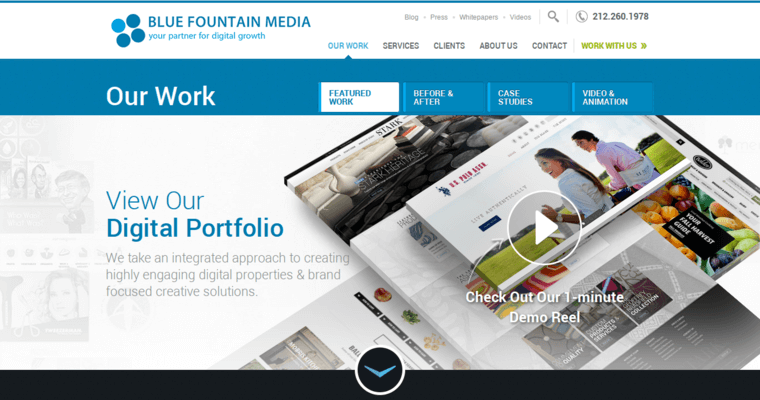 Blue Fountain Media is a unique web design firm of business professionals, each cross-trained to handle various niches all at once. Their elaborate creative process begins with a new client and that client’s dreams, specifications, business ideas, and goals. These techies want to help build a better brand, so they aim to customize their web designs to match a client’s expectations. From there, the web designs are laid down and fleshed out with codes, apps, and programs—all atop a strong foundation with reliable security measures. 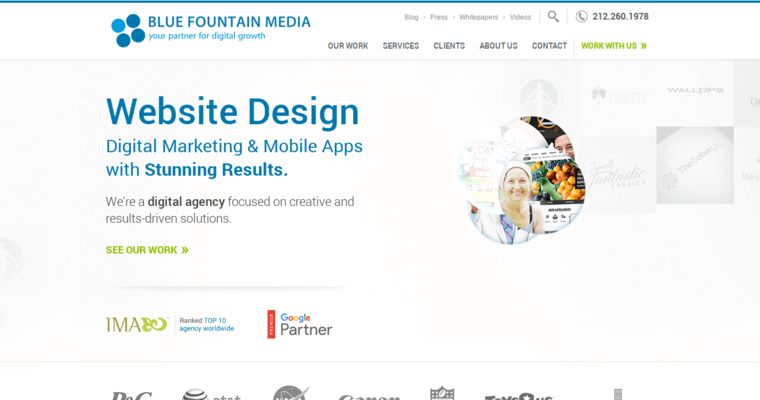 When Blue Fountain Media is done with a web design, and after a successful launch, the techie team focuses on marketing techniques to help that business soar. 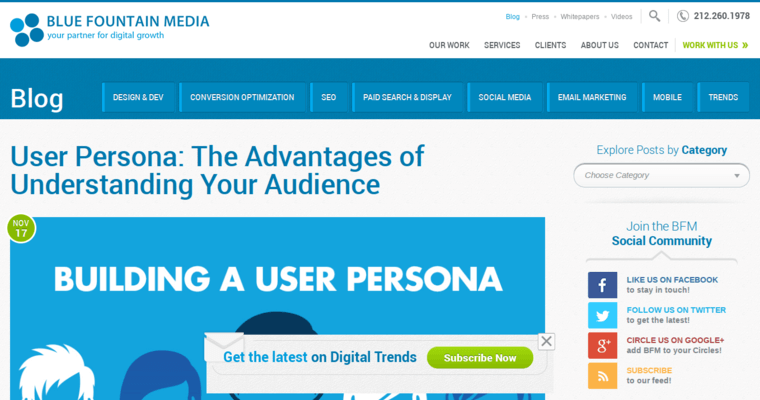 Their expertise in advertisements include social media updates and search engine optimization. Take a dive and give these creatives a call.